Bakers proof yeast before mixing dough in order to determine if the yeast is alive and active, or dead and a dud. 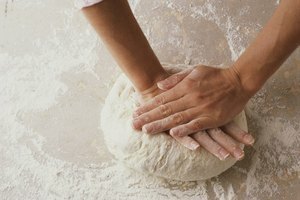 If you've ever gone through the trouble to assemble ingredients, mix up wheat bread dough, dough for sweet rolls or another yeast-risen breads, knead the dough for 10 minutes and then set the dough to rise for an hour and a half...only to find out it hasn't risen one grain, you know the importance of proofing the yeast beforehand. 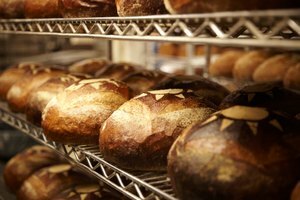 Yeast may die and be unable to cause your bread to rise if the yeast is too old or the water it's dissolved in is too hot or too cold. Proofing yeast is also a good idea when you use a breadmaker, especially if the expiration date of the yeast is suspect, but make sure to check the bread machine instructions. Pour into a small pot or saucepan the small amount of water called for in your recipe to dissolve the active dry yeast. This will likely be around 1/4 cup or so. It's best to start with cold water and heat it up, rather than warm tap water, as there are fewer impurities in cold water. Heat the water to between 110 and 115 degrees Fahrenheit. This is slightly warmer than lukewarm. If you do not have a thermometer to determine the temperature, dribble drops on your inner wrist. The wrist is a sensitive part of the body with which you can judge water temperature for baby bottles as well. If the water feels warm but not hot, it is the right temperature to proof yeast. Pour the water into a bowl, not a cup. You want a lot of surface area for when you add the active dry yeast so it dissolves quickly. Dissolve one teaspoon of sugar, maple syrup, honey, brown rice syrup, barley malt syrup or other natural sweetener into the water. Do not use Splenda, Sweet 'N Low, stevia or other sugar substitutes, as they do not have the chemical structure needed. The idea in using the sugar is to give the dissolved active dry yeast some fast food so you can see if the yeast will "gobble it up." 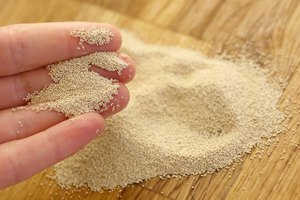 Yeast turns up its nose at sugar substitutes. Sprinkle, don't pour, the active dry yeast over the surface of the warm water in a thin layer. The idea is to prevent the yeast from clumping. Clumped yeast has a hard time dissolving. 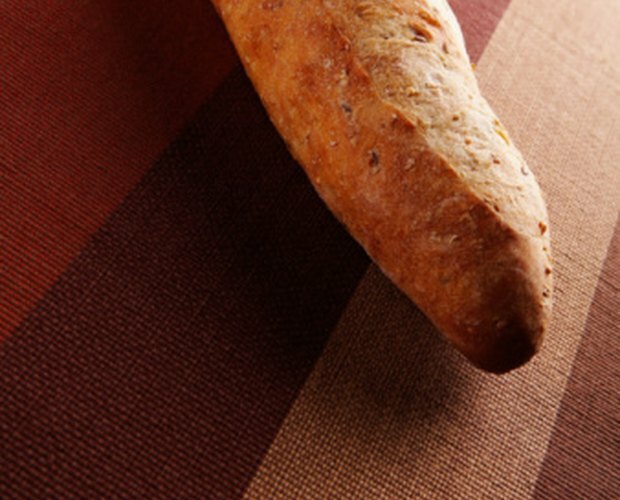 Yeast that has not dissolved will not help your bread to rise. Stir the active dry yeast with the spoon until it is dissolved in the warm water. Leave the bowl with the sugar and yeast solution alone to proof in a warm place for five to 10 minutes. Check the bowl with the sugar and yeast solution. If it has become frothy or bubbly, you have your "proof" the yeast is alive. If not, the yeast is a dud. Toss it out and start over again with a new batch of active dry yeast. Continue with the next step of your recipe. Not every recipe using yeast calls for it to proof. There are some shortcut bread recipes, breadmaker recipes or pizza dough recipes in which you just mix in the yeast with the flour or other dough ingredients. In those cases, do not proof unless the yeast is old and suspect. Simply use a good brand of active dry yeast, take care with your water temperature by following the recipe suggestions exactly and check the expiration date on the active dry yeast.